A truly profound and meaningful high school experience begins with the values of respect and integrity, as well as a firm dedication to an experience of excellence for each and every child. 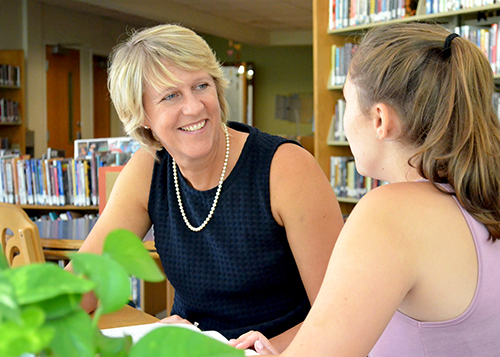 Bancroft’s Upper School weaves all of these important educational ideals into a student’s daily experience. As a school, we are energized by a vibrant community of learners who understand that creativity, hard work, tireless organization, precise analytical writing and speaking — along with collaboration and teamwork — are essential to a superior secondary school education. As teachers, coaches, and mentors, we embrace our students as individuals, and advocate for their strengths and affinities. It is a privilege and a joy to share with them our love for teaching, as they share with us their love and curiosity for learning.